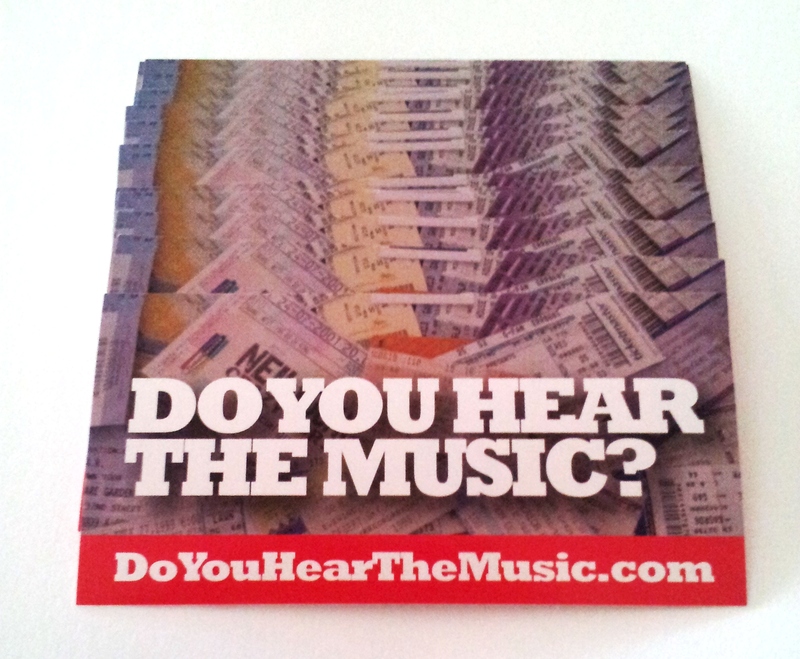 Hot off the press: DoYouHearTheMusic.com Sticker | Do You Hear The Music? First came designing the logo for the blog using my old ticket stubs and well, it worked! Next was making this blog a reality and using that logo as the identifying image associated with DoYouHearTheMusic.com and now comes a little fun, the first DoYouHearTheMusic.com sticker! Big thanks to my dear friend Jef Salazar aka the Ayatollah of Rocknrolla for designing the first DoYouHearTheMusic.com sticker! Find me at a concert and be on the lookout for the sticker to be popping up in some “random” spots here soon. ← Happy Birthday Bob Dylan! !